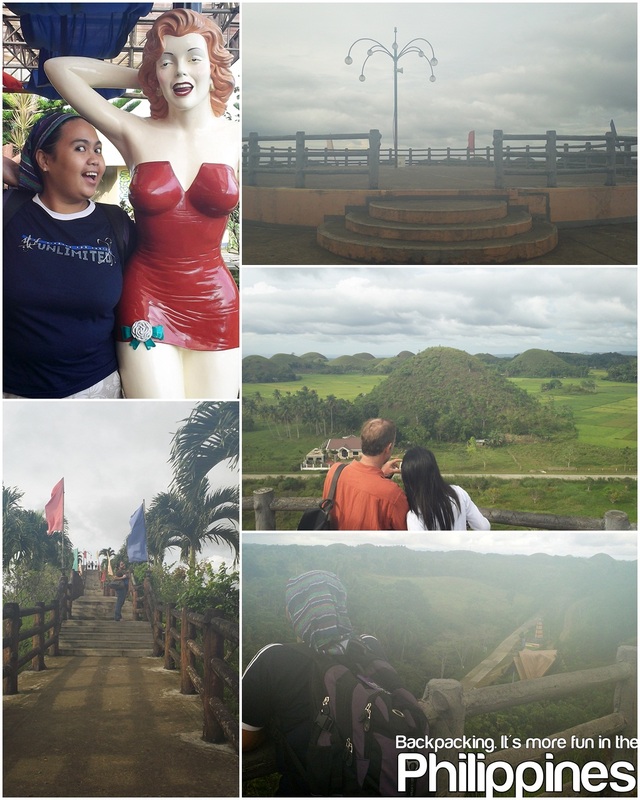 For my many trips to Bohol, this is my very first time to experience Chocolate Hills sight seeing at the Sagbayan Peak. We usually go to the Carmen viewing deck and majority of the tour guides and their tour packages go to Carmen, simply because it's nearer and for me the area is far more preserved compared to the Sagbayan Peak viewing deck. The Entrance fee is only Php 30.00. The please looks more like of an amusement park minus the rides. Some call it Disney land like because of the giant cartoon character figures that would welcome you towards the viewing deck. There were a lot of Looney Tunes and Disney characters that would definitely highten up kids excitement for the tour. 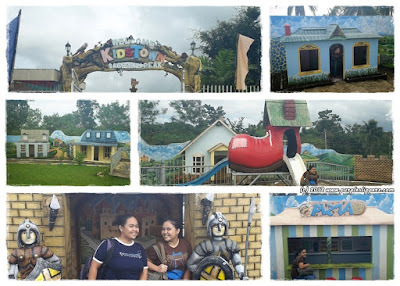 There were miniature castles, school , pizza house and a lot more at the Sagbayan Peak Kids Town. Kids and young at hearts can definitely have a good bonding time there. Not so for the adventurous hearts though, but if you have kids with you, they will definitely enjoy it here at Sagbayan Peak. This is the quickest way to go. 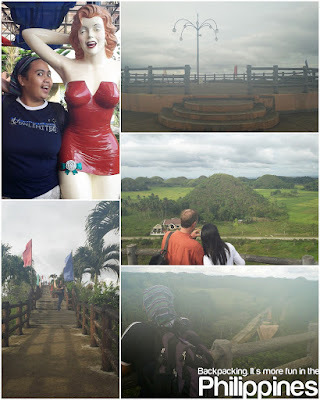 But when I went there, we passed by Baclayon then Loboc then Carmen and then Sagbayan Peak. Because most of the tour packages go this route. Where in Sagbayan Peak will be the last stop. It took us almost an hour from Bilar Manmade Forest. It was a bumpy ride though. If your taking a public transportation bus, it might take you a little longer since the bus will pass by towns and do some stop over to pick up and drop passengers along the way.